Bo is just a big teddy bear! He loves to always be around others and snuggle all the time. You can catch him playing with his toys or of course sleeping. When Bo is asleep you will sure know it because he snores pretty loud! Bo loves food and will eat anything in sight! On the bed or in your lap is where he usually is. 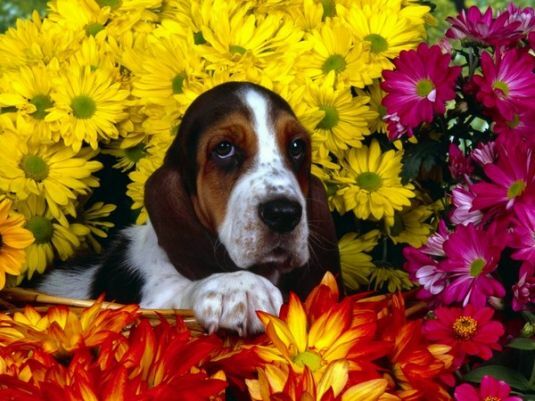 He is one of the cutest Basset Hounds I have ever seen. Ever since he was born he has had quite a belly! Oh and don't leaves socks around because he sure does care for the taste of those!! It is a flower puppy! I much prefer informative artciles like this to that high brow literature.